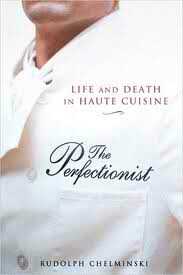 If you’re a fan of biography, especially from the kitchen, then Rudolph Chelminski’s The Perfectionist is a delectable read. It’s a captivating and honest account of the rise and tragic fall of Bernard Loiseau, the irrepressible, larger than life and entirely likeable star of modern French gastronomy–a man who lived in obsessive pursuit of excellence, even immortality, amidst the giddy heights of haute cuisine. Loiseau was one of the culinary elite, awarded the prestigious three stars by Le Guide Michelin for his inn and restaurant La Cote d’Or in rural France—an award he first received just after his fortieth birthday. Indeed, to be so rewarded had been Loiseau’s life dream. However, dogged by a mostly unrecognized and untreated bipolar disorder, Loiseau’s professional highs were more than matched by his periodic emotional lows. Under the captivating veneer of bravado and self-promotion, Loiseau lived in perpetual fear of failure. Tragically, in the early months of 2003, aged fifty-two and at the height of his career—spooked by the unfounded rumour of his imminent demotion to just two stars—Bernard Loiseau took his own life. His devoted wife Dominique found him on their bedroom floor, the gun by his side. The restaurant world was rocked. The country of France, ever obsessed by culinary celebrity, was in mourning. From Chelminski’s account, Loiseau was a perfectionist of the highest order, an obsessive compulsive totally consumed by his culinary vision. In his obsession with what proved to be ultimately elusive, Loiseau allowed everything else in his life—including his own family and personal well-being—to take a back seat. Still, even when confronted with his conspicuous frailties, I cannot help but be captivated by this man: his passion, absolute persistence and near unbreakable spirit. 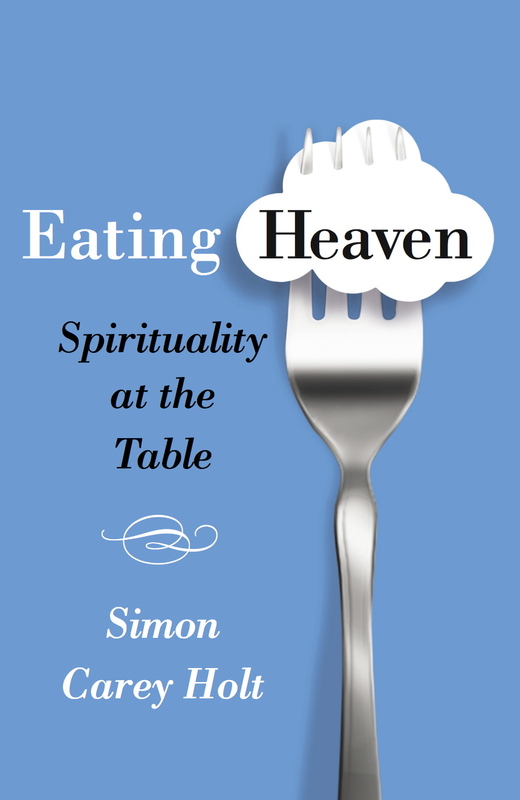 Food was his world and the perfecting of his art—one of both euphoric creativity and devoted service—was a pursuit of almost religious dimensions. From a Christian perspective, people like Loiseau are an easy target: telling illustrations of the hazards of unchecked pride and idolatry, perhaps even the presence of that ‘God shaped vacuum’ I learned about in Sunday school. But such simplistic conclusions do nothing to discern the abundant integrity and beauty mixed in to a life like his. Before dismissing too hastily or critiquing too harshly, we owe it to ourselves to note the genuine goodness demonstrated in Loiseau’s story. In the kitchen of La Cote d’Or, Bernard Loiseau’s daily challenge was to so inspire his staff to see the day before them as a new opportunity to excel in excellence, creativity, and gracious, faultless service. For close to 23 years, seven days a week, following both lunch and dinner services, Loiseau took up his post by the reception desk to greet departing guests, making each one feel personally valued and assured that upon their return they would be warmly embraced as old friends. Though I doubt Loiseau would ever have spoken of his life in the kitchen in terms of a calling, there is no doubt that for those who aspire to greatness in the disciplines of creativity and service aspire to something innate to the image of God. This is no claim for Lioseau’s experience of God. Rather it’s an affirmation of the gift that people like him embody. Where a person cares passionately about what they do, invests the best of themselves in the service of others, and does so with creativity, joy and care, there is evidence of God’s generous hospitality. Every story is a checkered one; every life a curious mix of decency and angst, darkness and light. Surely our privilege is to celebrate the miracle of goodness when we see it, and thereby rejoice in the gracious presence of God wherever it can be found.